Positivity Looks Good on You! I came across this quote recently and it really spoke to me. Do you know someone, or have you ever noticed someone, that is just always negative and actually has a puss on his or her face to match? You know, those people that seem to have a perma-frown engraved on their faces—even when they do smile, it doesn’t seem to fit them because it’s so out of the norm? This is because the thoughts that are usually flowing through their cells—the worries, the criticisms, the negative expectations—not only affect them internally (usually these people succumb to many dis-eases and other maladies) but externally also (their skin, their hair, their posture and their expressions). Your thoughts clearly display themselves on your face and therefore influence your appearance. When you are feeling good—thinking positive thoughts, feeling positive emotions—you will exude a positive vibration for everyone, and everything, around you to see and feel. When this happens, you will encounter positive circumstances which will include other positive people and experiences…and the cycle continues. This is the cycle you WANT, the cycle to continually strive to keep! Positivity looks good on you and you will continue to attract more of the same! Do you think it’s a coincidence that many of the “evil” characters in books and movies, especially children’s books and movies, are painted to be ugly? No one wants to look like Cruella De Vil! She acts crazy, is mean and self-centered and has the looks to prove it! 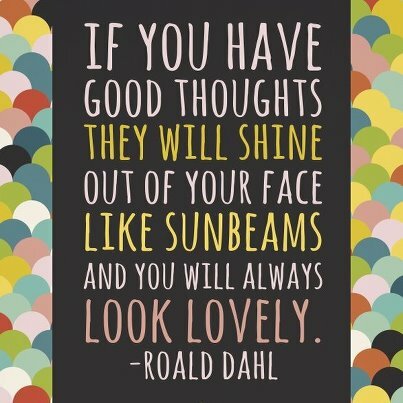 Me, I’d rather have sunbeams shine out of my face because of the positive thoughts I hold within me, wouldn’t you? So, take notice of your body when your magnet is frowning. Are your muscles clenched in anger or frustration? Are your eyes slightly squinted and the corners of your mouth forming a taut frown? Catch yourself when your mind starts to runaway train to Negative-ville. 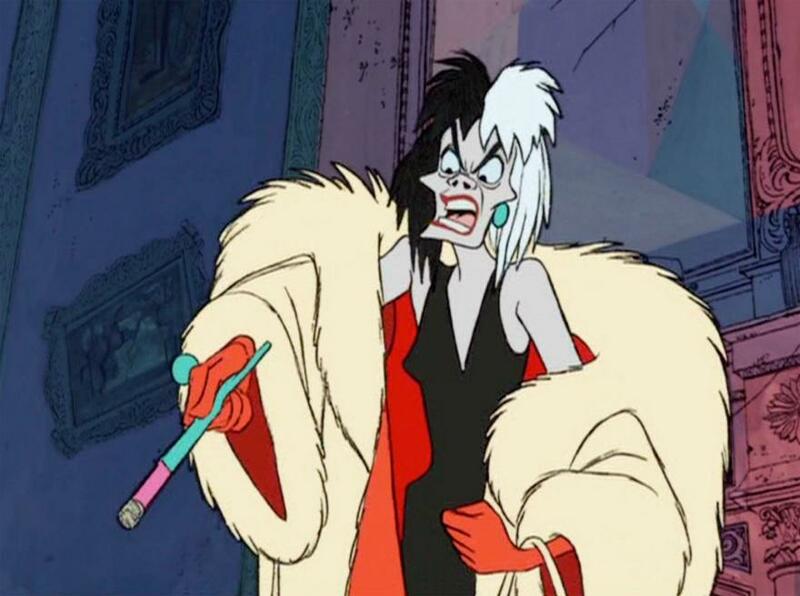 Don’t end up like Cruella! Here’s to you always looking lovely and your sunbeams shining blightly!